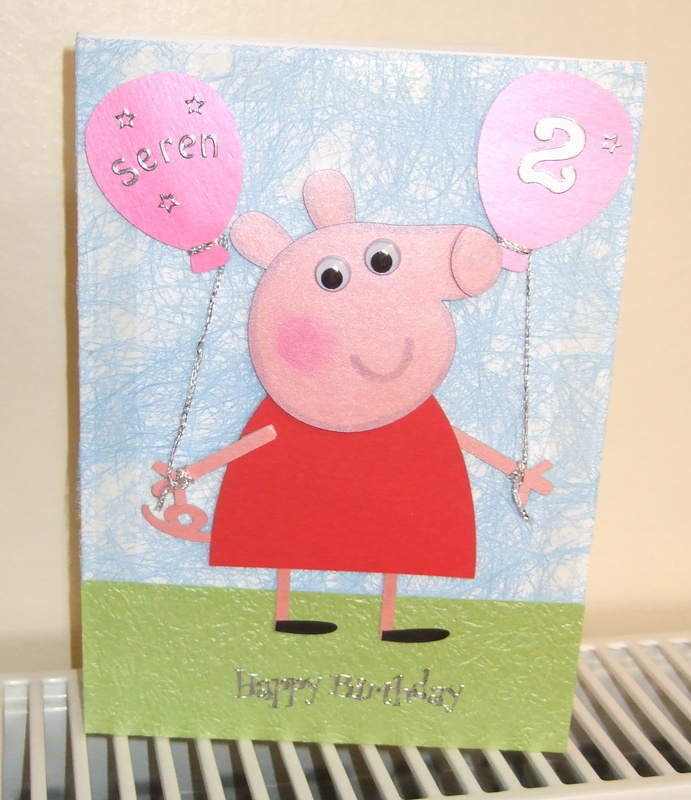 It was our beautiful baby niece's second birthday last week and as she loves Peppa Pig and balloons, I had to create something suitable. Here it is. At least she knew who it was meant to be!